Stetson Major and Curtis Traynor are about as opposite as two cowboys can get. Stetson is a rancher, tied to the land he loves in Taos, New Mexico, while Curtis is a rodeo cowboy whose wanderlust never could be tamed. But now Stetson’s momma is dying of Alzheimer’s, and she can’t remember that Curtis hasn’t been Stetson’s boyfriend for a long time. Curtis’s absence makes her cry, so Stetson swallows his pride and calls his ex-lover. To Curtis, Stetson is the one who got away, the love of his life. And Momma is his friend, so he’s happy to help out. Yet returning to the ranch stirs up all sorts of feelings that, while buried, never really went away. Still, the rodeo nationals are coming up, and Curtis can’t stay—even if he’s starting to want to, especially to support Stetson when he needs it most. Stetson and Curtis want to find a place where they both fit, to be there to catch each other when they fall. But family, money problems, and the call of the rodeo circuit might end their second-chance romance before it even gets started. Soft Place To Fall is a very well done story, well written and developed. What hugely surprised me was, although the author decided to deal with some important themes, although I shed a couple (or more) of tears, the book was never too heavy or too much to take as sometimes happens to me with this kind of plots. Instead this novel was so easy to read the ending came too soon. The romance between Curtis and Stetson is a second chance at love and I have to say it was absolutely beautiful to see how strongly the main characters were ready to reconnect; sure it showed how stupid they were to be apart all that years, but is also demonstrates how real love is destined to last no matter what. And it could sound cheesy, and maybe it is, but this is the feeling I got from this story and it filled my heart. If you love the author previous releases, or if you are a fan of cowboys and you’re looking for a story with laughs, sweetness and sad moments, you can’t miss the new novel by BA Tortuga. The cover art by Tiferet Design is so sweet and I don’t know how to say it with another word, so soft like the title of the book says, it’s perfect. This entry was posted in Book Reviews, Books, Contemporary fiction, Dreamspinner Press, eBooks, LGBTQ Book Reviews, M/M Book Reviews, M/M Contemporary Fiction, M/M Fiction, M/M Romance, M/M Supernatural Fiction, Uncategorized and tagged A Stella Highly Recommended Novel, A Stella Release Day Review: Soft Place to Fall by BA Tortuga, author BA Tortuga, gay western romance, lovers reunited, second chance at love, Soft Place to Fall by BA Tortuga. Scattered Thoughts and Rogue Words is happy to have BA Tortuga back again talking about all things Texan, writing, and new stories, in this case Soft Place To Fall. Welcome, BA. Hey y’all! I’m BA Tortuga, resident redneck and lover of all things western. I have to tell y’all a story. As y’all may know, I’m a Texan and when I announced to my daddy I was moving to New Mexico, he was pissed. You see, Daddy really likes all of his little girls near, thank you. Regardless, here I moved, and when Daddy saw it, he hated it. Now, I live in between Albuquerque and Santa Fe, so I live surrounded by high desert and mountains. It’s stunning here. The light, the sun, the colors…I can rhapsodize. All my daddy sees is dirt. *grins* That’s how it goes with my newest book – Stetson in a New Mexican, Curtis is a Texan. Stetson is married to the land, Curtis is married to rodeo. When Stetson has to call Curtis for a favor years after they break up? Whoa. Texan to the bone and an unrepentant Daddy’s Girl, BA Tortuga spends her days with her basset hounds and her beloved wife, texting her sisters, and eating Mexican food. When she’s not doing that, she’s writing. She spends her days off watching rodeo, knitting and surfing Pinterest in the name of research. BA’s personal saviors include her wife, Julia Talbot and coffee. Lots of coffee. Really good coffee. 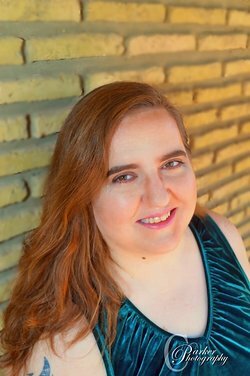 This entry was posted in Book Reviews, Books, Contemporary fiction, Dreamspinner Press, eBooks, LGBTQ Book Reviews, M/M Book Reviews, M/M Contemporary Fiction, M/M Fiction, M/M Romance, Uncategorized and tagged #newbookrelease #SoftPlaceToFall, @batortuga, author BA Tortuga, Dreamspinner Press author blog tour, gay western romance, lovers reunited, second chance at love, Soft Place to Fall by B.A. Tortuga. Realigned is a fun and steamy M/M novella in Becca Seymour’s Coming Home series. Stand-alone romances complete with heat, wit, and happily ever afters. 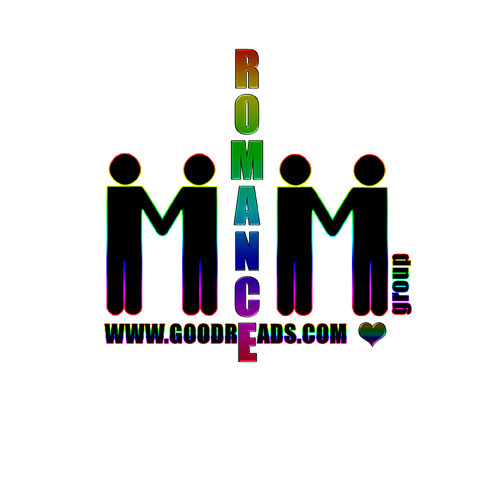 This entry was posted in Book Giveaways, Book Reviews, Books, Contemporary fiction, eBooks, M/M Book Reviews, M/M Contemporary Fiction, M/M Fiction, M/M Romance, Uncategorized and tagged #Realigned_Reveal #GayRomance #MMRomance #hotcowboy, @beccaseymour_, author Becca Seymour, Cover Reveal and Giveaway for Becca Seymour's Realigned, Hot Tree Publishing, Realigned by Becca Seymour, second chance at love. 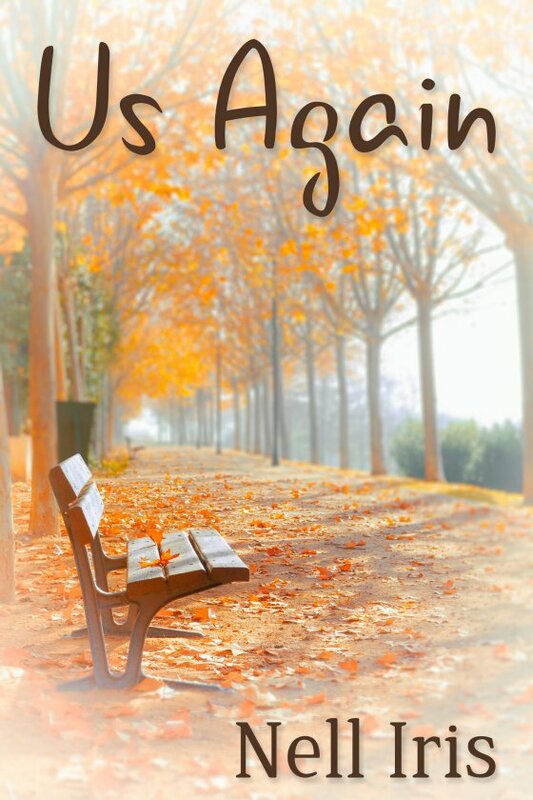 This entry was posted in Book Giveaways, Book Reviews, Book Tours and Contests, Books, Contemporary fiction, eBooks, LGBTQ Book Reviews, M/M Book Reviews, M/M Contemporary Fiction, M/M Fiction, M/M Romance, Uncategorized and tagged #newbookrelease #IsItOverYet #giveaway, @GallagherWitt, author L.A. Witt, Is It Over Yet by L.A. Witt, second chance at love, Signal Boost Promotions. It’s never too late for a second chance at love… or is it? Rayne Sadler left the tiny town of Holiday Pines and his childhood sweetheart, Emilio Rives, to make a name for himself in the world of interior design. For twelve years, he never looked back. Now he has the successful career he wanted, but no one to share his life. Emilio isn’t happy when Rayne returns to Holiday Pines to renovate the local playhouse. The town wants to stimulate the failing tourist industry, but Emilio has no interest in reviving the ashes of his relationship with Rayne. Yet shared memories and experiences are powerful things. As the playhouse is restored to its former glory, the friendship between Rayne and Emilio slowly returns as well, and their chemistry is as powerful as ever. Rayne has designs on Emilio’s heart, and he sets out to prove it. Will the magic of Christmas thaw Emilio’s heart, or will it remain as cold as mountain snow? What a perfect time for a lovers reunited and second chance at love story than at Christmas? Designer Holiday by Ari McKay is a sweet, contemporary romance that brings two high school sweethearts back together after a long separation. While one has seemingly moved on, the other clearly hasn’t emotionally, the pain of the breakup deep even after all these years. It’s hard since the breakup was as teenagers to imagine why Emilio carries such an enormous burden after all these years but McKay (and a lovely character, Emilio’s mother) go a long way to reasonably explaining such a deeply held grudge towards Rayne. And Rayne’s take on it all, which honestly seems to normal for a teenage boy. The way in which the town comes together for the playhouse, the various members of the community, and the place itself has it’s own magic. I would definitely love to visit there myself would it appear on a map. The authors have a way of making a walk down the street turn into an intimate stroll that pulls the readers into the scene, glancing here and there about the location while eavesdropping onto the conversation taking place. It’s real, lovely, and in the moment. The same goes for the romance. At first hard and a bit tortured, it becomes a slow path back to trust and love and the way home at Christmas time. Sweet, heartwarming, and believable. I loved it. Want to add a holiday story to your Christmas reading? Pick up Designer Holiday by Ari McKay. I recommend it to add sweetness and joy to your holiday reading. Cover art is suitably Christmassy and bright, I like the models but wish for a little more of the playhouse that drew them both back together. This entry was posted in Book Reviews, Books, Contemporary fiction, eBooks, LGBTQ Book Reviews, M/M Book Reviews, M/M Contemporary Fiction, M/M Fiction, m/m holiday stories, M/M Romance, Uncategorized and tagged A MelanieM Review: Designer Holiday by Ari McKay, author Ari McKay, Designer Holiday by Ari McKay, lovers reunited, m/m holiday romance, second chance at love. Scattered Thoughts and Rogue Words is happy to have Kelly Jensen here today talking about the inspiration behind her new release, Renewing Forever (This Time Forever #2). Welcome, Kelly. I’m known in author circles for being super organized. I have templates for my outlines, I spreadsheet my revisions, and often write 6000 word character histories. 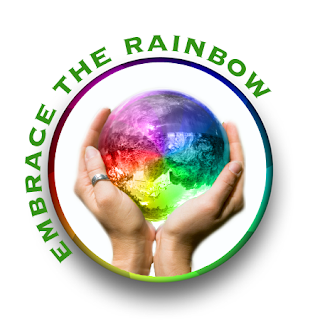 The support documents for every book are indexed and hyperlinked. The bulleting in my outlines often goes four levels deep. My big book of ideas is spread over several notebooks that live in different places throughout my house. That way, if inspiration strikes, I have paper close at hand—which sounds a lot better than I just have notebooks everywhere, in no particular order! The notebooks have snippets of dialogues, entire scenes, outlines, character notes, and plot ideas. And they’re all mixed in together without any sort of indexing. The ideas for Renewing Forever came from two different notebooks. One had a few notes about Frank, jotted down after a beta reader for Building Forever asked if Frank’s book would be next. I had no plans to write a series, but I wrote the idea down, anyway, and tucked it away. In another notebook, I had a brief outline for a story about a guy who was “camping out” in a dilapidated resort. About five years ago, we took a road trip to New Orleans and stayed at a quaint family resort in Tennessee. The guy manning the desk had the most amazing accent—and he was very cute! I immediately got an idea for a story involving someone trying to revitalize a rundown family resort, and maybe facing challenges from a local developer who wanted the land. I’m not quite sure how these two ideas got combined? I think it was mostly a matter of me hunting through my notebooks for a story idea that would suit Frank. I like using and combining ideas I already have—it gives me a sense of accomplishment to cross something off what is probably a never ending list. I quickly decided to switch up the imagined roles: Frank would be the one to inherit the resort and he’d return “home” to find someone living in one of the guest cottages. Then I decided to complicate everything by giving Frankie and Tommy a shared history—one where they’d been each other’s best friend and first love. What I didn’t realize while plotting was quite how emotional this book would be to write. I’m reasonably emotional anyway—for me, watching the television show “This Is Us” is like combining a wedding, a funeral, and the birth of a new baby every week. I’m always completely drained afterward! So I often get a little weepy (sometimes a little sobby) while writing my guys. This book wrecked me in a lot of ways. Tom’s self-sabotaging self-reliance (or hubris), and Frank’s longing. Oh my goodness, the longing. He never got over Tom and likely never would have. What I also wanted to do with this book was write a character (Tom) whose bisexuality was integral and almost never discussed. I didn’t want this story to be about sexuality. I wanted it to be about rekindling lost love—and holding on to something you never really let go of. After all of this, I devised relatively simple plot: should they or shouldn’t they renovate the resort? Really, the plot is just a reflection of the bigger question in this novel: should they or shouldn’t they repair their friendship and love? The obstacles to both are Tom’s inability to ask for help—and the fact he’s not so slowly sliding down the financial gurgler—and Frank’s dissatisfaction with his current career, and to a smaller extent, his feelings regarding his best friend, Simon, having found The One. Frank thinks he’s getting over a crush on Simon, and he is… sort of. What he’s really doing is mourning The One who got away. The one he let go. So there is a lot of introspection and reevaluation going on, and in keeping with the themes of this series, scenes that highlight the importance of family (blood and found), friendships, and lots of more lighthearted moments where Frank and Tom explore small town happenings and decide whether or not they’re going to renew their forever. I hope you enjoy Frank and Tom’s story. It’s not quite as upbeat as the one I wrote for Simon and Charlie, but all of my characters are different, and therefore they require different stories. I love the one I wrote for Frank and Tom. It’s one to cherish, and one that still makes me misty eyed, all these months later. 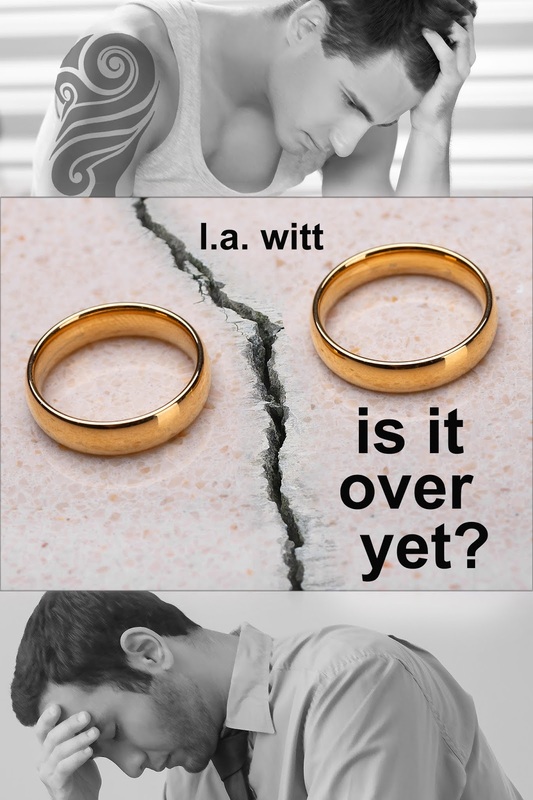 Renewing Forever is the second of a series of standalone novels focused on older characters who think love has passed them by. Frank and Tom’s story is a true second chance romance, reuniting childhood friends and first loves separated by an argument and thirty years of misunderstanding. I hope you enjoy reading about their renewed friendship and their plans for forever. This entry was posted in Book Giveaways, Book Reviews, Book Tours and Contests, Books, Contemporary fiction, eBooks, LGBTQ Book Reviews, M/M Book Reviews, M/M Contemporary Fiction, M/M Fiction, M/M Romance, Riptide Publishing, Uncategorized and tagged #newbookrelease #RenewingForever #giveaway, @kmkjensen, @RiptideBooks, author Kelly Jensen, friends to lovers, hurt/comfort, Renewing Forever (This Time Forever #2) by Kelly Jensen, reunited, second chance at love, This Time Forever series by Kelly Jensen. Best friends since they were children, Mikhail and Solomon later took their friendship to the next level. But they have a falling out after a horrible mistake. Seven years later, the men are reunited on a cruise ship in the Mediterranean where they both work as waiters. The animosity between them runs deep, but the close quarters at sea bring them back together, with a little help from a fellow shipmate. Can Solomon and Mikhail move beyond the mistakes they made in the past and rekindle what they had? Or are they fated to only being friends? How many ways can a author sink a story? Let me count the ways…. In Safe Harbor by David O. Sullivan the author’s choice of adjectives in describing his characters looms as number one. Sullivan’s favorite word when it comes to Mikhail is whimpering. Mikhail enters a meeting late whimpering, he whimpers upon encountering Solomon, he just whimpers all over the place. Is the author just not aware of the imagery he’s projecting onto his poor character? Unfortunately, I just ran across another author with a similar bent who kept describing his main character as sniveling. Smh! Do these people not own a dictionary? Who does that to main characters and why do they think readers will then find them attractive? Questions, questions. Plus why didn’t an editor catch that? Anyway, while poor Mikhail is whimpering away, Sullivan has done an equal injustice to Solomon. Both men are of the Jewish faith which is clearly of deep importance to them now and growing up. However, in bringing into Solomon’s dialog some Jewish or Yiddish slang the character comes across more like a 50’s comic or character from a Borscht Belt comedy act or an actor in the plays in the summer resorts of the Catskill Mountains in the 50’s and 60’s. It’s a constant rain of ‘Schmucks’ from his lips. You’re a Schmuck, he’s a Schmuck, everyone’s a Schmuck. Talk about tiresome. Everyone here is a cardboard character of little to no depth. Some authors can and have beautifully folded in the Jewish culture, language, religion, and, yes, phrases, into a story effortlessly. This is not that book. Here it is jarring and one-dimensional. Even a rabbi, a fire, and Hanukkah is used, poorly, to illustrate a “miracle” on board and to bring the men back together. It’s actually cringeworthy. Often when I say I couldn’t get to the end quick enough, I mean that in a great way. I raced to the end because I was so in love with everything that the story flew by. Here it’s the exact opposite. I just wanted it to be over. Cover art is adorable. How I wish the book reflected what was going on in that cover. This entry was posted in Book Reviews, Books, Contemporary fiction, eBooks, LGBTQ Non Fiction, M/M Book Reviews, M/M Contemporary Fiction, M/M Fiction, m/m holiday stories, M/M Romance, Uncategorized and tagged David O. Sullivan, JMS Books LLC, lovers reunited, Safe Harbor by David O. Sullivan, second chance at love. 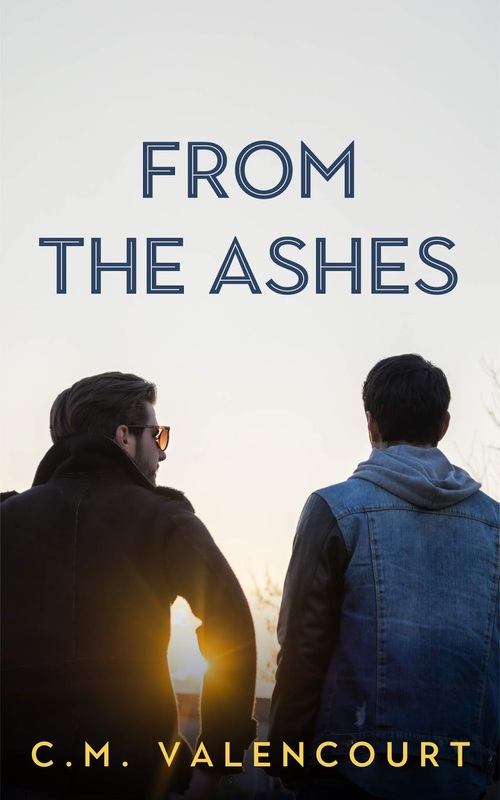 This entry was posted in Book Giveaways, Book Reviews, Book Tours and Contests, Books, Contemporary fiction, eBooks, LGBTQ Book Reviews, M/M Book Reviews, M/M Contemporary Fiction, M/M Fiction, M/M Romance, Uncategorized and tagged #newbookrelease #FromTheAshes #giveaway, @cmvalencourt, author C.M. Valencourt, From the Ashes by C.M. Valencourt, lovers reunited, second chance at love, Signal Boost Promotions. Cowboy in the Crosshairs is a western comedy with a second chance love story at its center. Everything from Wacey’s name, and those of his siblings, to his mishaps with TJ, added to the comedic style the author often uses. If you are looking for drama, this book is not it. What it really is… an escape from a traditional cowboy romance. It’s about rodeo, family legacy, and missed opportunities. It’s easy to cheer for Wacey and TJ, and the whole cast added to the out of the ordinary story. I enjoyed their families and their crazy neighbors. 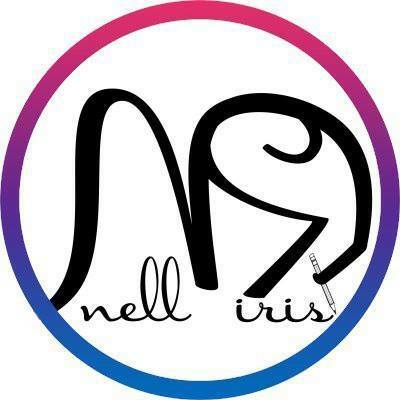 The author did an excellent job bringing the story full circle from the moment the main characters saw each other again, to the hints of their life together after their HEA. The easy love between Wacey and TJ was refreshing and how much they enjoyed each other kept the reader engaged. This is a good start to a new series. A bit out of the ordinary, but good enough for an easy read day. I’m not a big fan of Dorian Bane and this narration didn’t help the cause. Yes, it was western, but it took away from the characters. Some of them were too much of a stereotype. I felt like I was listening to The Dukes of Hazzards’ narrator; it worked in some areas, but others were ridiculous. The cover by Bree Archer fits the story and the series. I’m not sure if the cowboy is Wacey or TJ, though. This entry was posted in Audio Books, Book Reviews, Books, Contemporary fiction, Dreamspinner Press, LGBTQ Audio Books, LGBTQ Book Reviews, M/M Book Reviews, M/M Contemporary Fiction, M/M Fiction, M/M Romance, Uncategorized and tagged A Dreamspinner Press audiobook, A Dreamspun Desires title from Dreamspinner Press, author B. A. Tortuga, Cowboy in the Crosshairs (Turquoise New Mexico) by BA Tortuga and Narrator: Dorian Bane, gay cowboys, Mystery/Suspense / Western, Narrator Dorian Bane, second chance at love.